As much as the women in the group care about yarn, they care about the people that they’re knitting for even more. 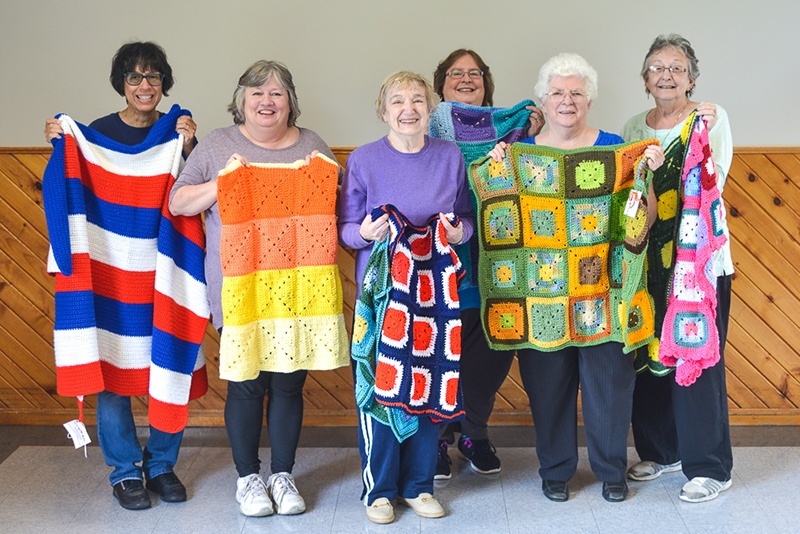 Everything that they make during the group sessions is donated to someone who needs it. They make everything from wheelchair blankets to teddy bears. They also do slippers, pillow cases, neck pillows, journal covers, wheelchair bags and more. They do the most with what they have. Almost all the yarn that they get is donated so they don’t have many options of the quality or color of the yarn. They even make USA-themed items for veterans. Patients in VNA of Ohio’s hospice care receive neck pillows, slippers, blankets and other items from the group. Learn more about how you can help at VNA of Ohio. Call us today at 1-877-698-6264. For 115 years, VNA of Ohio’s volunteers have been the backbone of the organization. From wrapping gauze to making phone calls to providing free legal services to making intricate cards that make people smile, VNA of Ohio would like to extend a sincere “thank you” to all who devote their time and resources that better the lives of our patients and their families.